Charles H. Houk, age 79, of Horse Cave, passed away on Sunday, April 8, 2018 at The Medical Center of Bowling Green. He was a native of Hart County and a member of the Pleasant Valley Baptist Church. He, along with his wife, Martha, managed and operated Houk Farms for 50 years where they had greenhouses, tobacco, dairy and beef cattle. At a young age, he measured tobacco for the ASCS Office and was named Young Farmer of the Year in 1971 by the Caverna Jaycees. In 1975, Charles & Martha received the FHA Family of the Year Award. 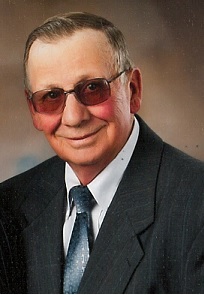 He was a past president of the Hart County Farm Bureau, former Board of Directors member of Green River Co-op and was named Top Cabbage Producer in 2002 by Green River Produce. He was also former president of the Old Iron Antique Tractor Club and was a fabricator of farm equipment. He loved going to the lake, hunting and fishing. He was preceded in death by his father, W. W. Houk; a son, David Wayne Houk; and his father-in-law & mother-in-law, Marvin & Mary Jeffries Waters. He is survived by his wife of 56 years, Martha Estes Houk, Horse Cave; two daughters, Sarah H. Alvey (Ricky), and Judith H. Jones (Mark), both of Horse Cave; five grandchildren, Thaddeus Highbaugh (Jenn), of Erlanger, Lindsay Gamble (Collin), of Madisonville, Katherine Jones, of Nashville, Quentin Jones and Elizabeth Jones, both of Horse Cave; one great-granddaughter, Elliana Highbaugh, of Erlanger; mother, Myrtle Houk of Munfordville; one brother, Carroll Houk (Marilyn) of Munfordville; one special nephew, Jeffrie Thornsbury (Christine) of Virginia; and a host of other relatives and friends. Funeral services will be held at Winn Funeral Home on Friday, April 13, 2018, at 11 a.m. with burial to follow in the Horse Cave Municipal Cemetery. Visitation at Winn Funeral Home from 3-8 p.m. on Thursday, the 12th, and at 8 a.m. until time of service on Friday. Expressions of sympathy may be made in the form of contributions to Timberlake Cemetery Foundation, c/o Willie Frances Osborne, 7875 Hardyville Road, Hardyville, Kentucky, 42746.